AdClarity is an amazing tool when you need to get some webpage from another location. It has lots of different location around the world, well organised by continent, which allow you (according your subscription) emulate easily each one of your desired hits (like hit an American only website in Europe, or vice-versa, etc). For a non-professional users, allows you to do some "tricky" actions, like clean cookies or set a different device user-agent to emulate an mobile device, with simple actions (one or two clicks).Avoid using it to stream video when you pay by download size. Also avoid have multiple tabs/windows on your web browser when you are using this tool, it will refresh all of them. 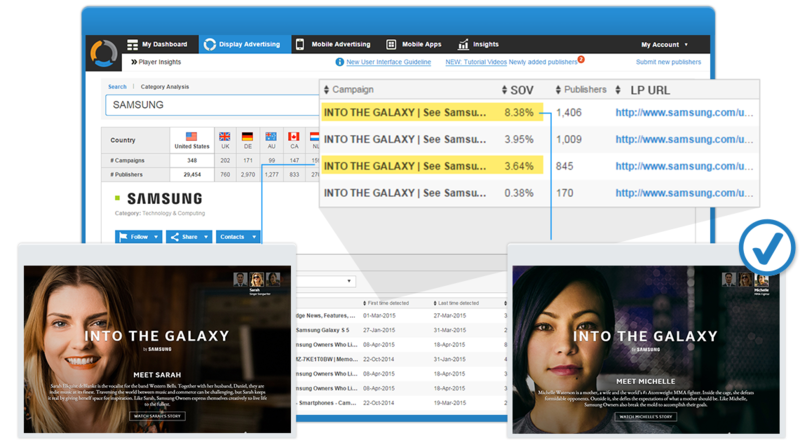 TapClicks is strongest in its ability to pull together data from integrated campaigns. For a client trying to pull together complex results, the platform provides real-time results to allow for optimization. Emulate new locations around the world. Use as proxy to hit some blocked content in your location. Integrates with numerous platforms, and if they don't integrate you can set up a data integration yourself. Categories allow you to combine similar products from different services so your clients can see a total number, instead of the separate services. When used in Chrome, it affect all tabs and reload it, which increases data downloaded with tool on, and will impact on costs. Some features are useless to developers, like clean cookies and set device type, they should have different versions for professionals and regular users. I'd say they could work at implementing their product with more vendors. They have a ton available, I wouldn't say this is a fault or negative point, but the more people they work with and plug into the better. AdClarity is the only product with these capabilities. I haven't seen any alternatives out there. Very similar product, they have the same purposes and also same features, only difference could be the costs. The companies I interviewed are either limited in the number of APIs built with the data source, especially with DFP. Some of them charge us cloud storage fees. TapClicks came in with enthusiasm and so far they have helped us jump start the building of dashboards for our clients. I was able to get more suitable, better converting traffic sources. We are able to steer more business from clients who have been provided with BI solutions. TapClicks offers a subscription on a month-to-month basis. We offer multiple packages catered to your needs. Try us out for free, no credit card required.